"Scientists have had a probe like Parker on their mission wish lists for nearly 60 years. In 1958, the year that NASA was created, the National Academies Space Studies Board recommended that the new agency send a spacecraft inside the orbit of Mercury to investigate the environment surrounding the sun. - " The Parker probe will circle the sun 24 times over the next seven years, using the gravitational tug of Venus to gradually shrink its own orbit. On its first go-round, Parker will get as close as 24 million kilometers to the surface of the star. On its final few loops, beginning in 2024, the probe will skirt within about 6 million kilometers of the sun’s surface. " Last edited by inertia; 07-08-18, 10:49 PM. ...<snip>..., the probe will skirt within about 6 million kilometers of the suns surface. " A short history of rejection, validating measurements, then acceptance.
" This is the first time NASA has named a spacecraft for a living individual," said Thomas Zurbuchen, associate administrator for the agency's Science Mission Directorate in Washington. "It's a testament to the importance of his body of work, founding a new field of science that also inspired my own research and many important science questions NASA continues to study and further understand every day. I'm very excited to be personally involved honoring a great man and his unprecedented legacy." Parker published research predicting the existence of solar wind in 1958, when he was a young professor at the University of Chicago's Enrico Fermi institute. At the time, astronomers believed that the space between planets was a vacuum. Parker's first paper was rejected, but it was saved by a colleague, Subrahmanyan Chandrasekhar, an astrophysicist who would be awarded the 1983 Nobel Prize for Physics. " -- "Less than two years after Parker's paper was published, his theory of solar wind was confirmed by satellite observations. His work revolutionized our understanding of the sun and interplanetary space. Parker is now the S. Chandrasekhar Distinguished Service Professor Emeritus at the University of Chicago. Zurbuchen and Nicola Fox, the mission project scientist for Parker Solar Probe, also presented Parker with the first scale model of the probe and NASA's distinguished public service medal." Parker Solar Probe Launch Window Extended to August 23 » NASA and its mission partners have analyzed and approved an extended launch window for Parker Solar Probe until Aug. 23, 2018 (previously Aug. 19). The spacecraft is scheduled to launch no earlier than Aug.
- " The Parker probe will circle the sun 24 times over the next seven years, using the gravitational tug of Venus to gradually shrink its own orbit. On its first go-round, Parker will get as close as 24 million kilometers to the surface of the star. On its final few loops, beginning in 2024, the probe will skirt within about 6 million kilometers of the suns surface. " 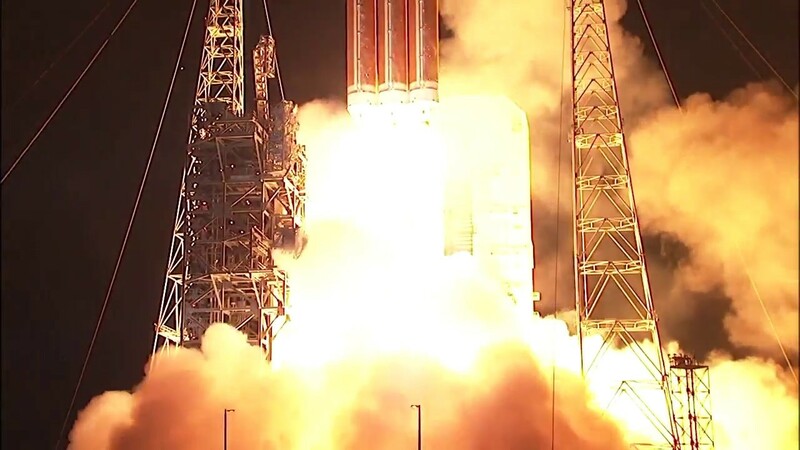 " NASA called off the launch of its ambitious Parker Solar Probe mission to the sun just minutes before an early-morning liftoff Saturday (Aug. 11) due to a glitch with the spacecraft's giant Delta IV Heavy rocket. The mission is now scheduled for no earlier than Sunday, Aug. 12, at 3:31 a.m. EDT (0731 GMT) during a window that will remain open for 65 minutes. " " The nearest probe to have reached the Sun was the Helios 2 spacecraft, which in 1976 came within 44.5 million kilometres of the Sun’s surface. The 635 kg Parker Solar Probe will come near enough to the Sun allowing it to watch the solar wind speed up from subsonic to supersonic and trace how energy and heat move through the corona. This will allow scientists to gain information about what accelerates the solar wind as well as the high-energy particles coming from the Sun, known as solar energetic particles. To do so, the Parker Solar Probe will carry four instruments. One instrument, dubbed FIELDS and built by the Space Sciences Laboratory at the University of California, Berkeley, will measure the electric field around the spacecraft with five 2 m-long antennas made of a niobium alloy that can withstand high temperatures. FIELDS will also contain three small magnetometers to measure magnetic fields. The other three instruments are an imager and two dedicated particle analysers. " 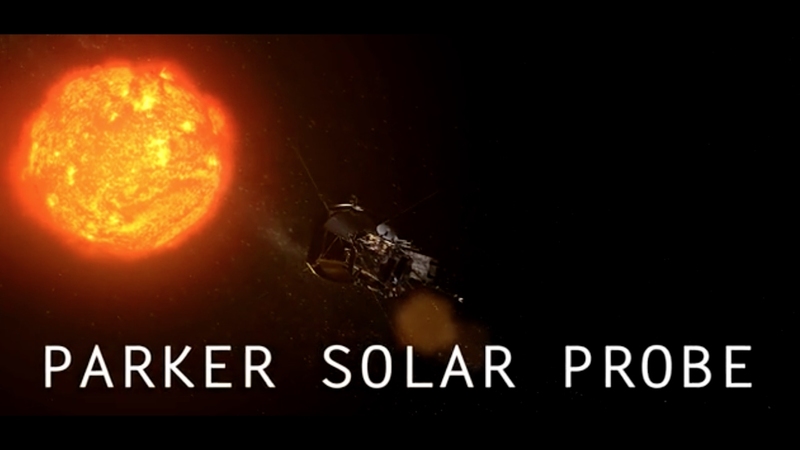 "Scientists have had a probe like Parker on their mission wish lists for nearly 60 years. In 1958, the year that NASA was created, the National Academies’ Space Studies Board recommended that the new agency send a spacecraft inside the orbit of Mercury to investigate the environment surrounding the sun. "... the Johns Hopkins Applied Physics Laboratory, or APL, in Laurel, Maryland, analyzed Parker Solar Probes position and quickly developed a re-optimized trajectory to place it in the best path for the seven Venus gravity assist maneuvers and 24 solar orbits that the mission will make. Re-assessing a spacecrafts trajectory after launch is a normal step, as the mission team is then able to accurately track the spacecraft's actual speed, direction and position to create a more precise trajectory plan. "